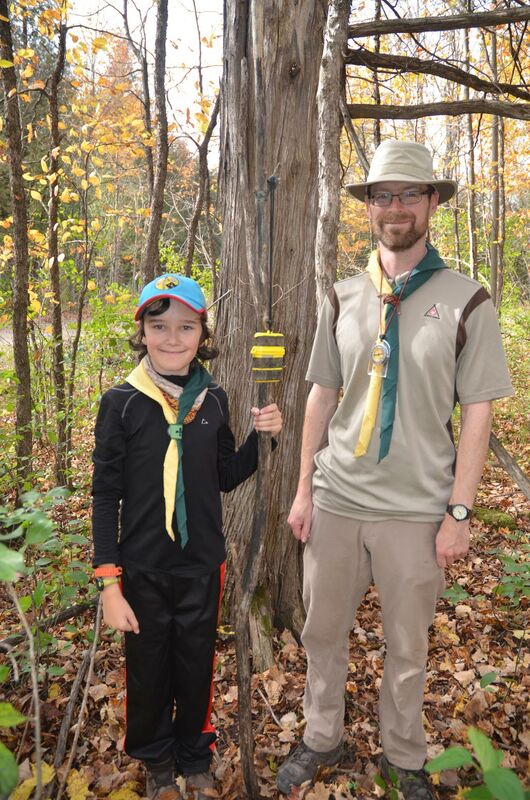 The Rideau Challenge is an outdoor adventure that encourages youth to hike and camp through the Rideau Trail. 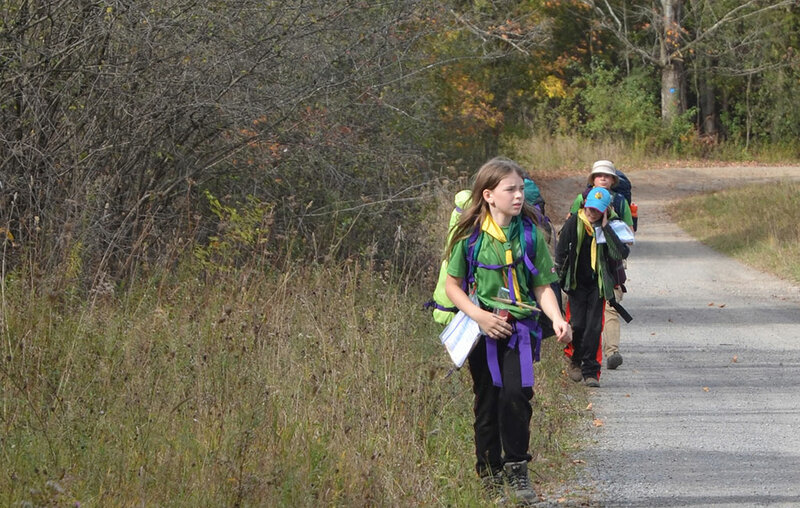 With three levels, first year Scouts can do bronze and hike with leaders; more advanced Scouts do silver and hike unassisted for two days, camping with leaders at night; the most difficult level, gold, allows senior Scouts to hike and camp completely unassisted, carrying everything they require. The Rideau Challenge is held in May, however in 2017 the trails were too wet due to significant rainfall, which postponed the challenge to October. This was great news for me, since I had just started my first year as a Scout in September. As I’m always up for a challenge, I decided to do the silver level with 2 other Scout mates. It was a beautiful Saturday morning when we set off on our adventure. We took turns leading, and while we walked, we talked about our lives and got to know one another. We followed our maps closely to ensure we always stayed on the correct path. As good Scouts, we obeyed the rule of ‘leave no trace’. The forest was way too beautiful to take for granted, and of course we were only guests visiting. By the time we got to base camp we were exhausted and happy to have a break. It was nice to see the rest of our Troop. We had a lot of time to relax and listen to each other’s stories. We even got to work on our Scoutcraft skills and I learned how to use a lantern. Before we knew it, it was time for dinner, clean up, then off to bed. We needed to be ready for what tomorrow was to bring. The next morning we packed up and headed off for part 2 of our journey. This day was going to be even more tiring since we already had 14 km under our feet. We realized how important it was to be prepared for such an adventure. We had to pack light but appropriately for the weather. This is a balance that comes from experience and knowledge, and through little mistakes we learned how to improve for next time. We finished our journey with a local geocache called the BeeHive. Over the course of the weekend, we hiked unassisted for 28 km, carrying all of our gear, except a tent and cooking supplies. In the moment we were walking, talking, enjoying the sights and sounds of nature, we were distracted from our feeling of exhaustion. It wasn’t until I stepped out of the car after the ride home, that I realized how much my feet hurt and how tired I really was. But I wouldn’t change it for a thing and I can’t wait to do it again. That was my Rideau Challenge adventure. I hope you have an adventure as great as mine. And if you see me on the trails, do come over and say hi!